This week, the Young Labour national committee voted overwhelmingly in favour of submitting a rule change regarding mandatory reselection of MPs to 2019 party conference. This is the apparently radical notion that MPs should remain accountable to local people’s interests, and win a selection contest every term they wish to represent their constituency in parliament. New candidates, especially young members and those from working-class backgrounds who are institutionally shut out from standing as candidates, would be on an equal footing against well-resourced MPs. The motion was proposed by a parliamentary candidate who sits on our committee, and it was supported by young councillors who make up the YLNC. They know the barriers facing young and working-class candidates, especially when they have to sustain a four-year campaign, and we plan to run a candidate school and push for funding for young PPCs. This rule change is not the only action we will push for to improve our selection process. This is incredibly exciting. The committee was united in wanting to push for not just incremental changes in our party rules, but be at the forefront of truly opening up our party to its mass membership and the communities that this membership is embedded in. For too long, we have heard from young workers and young voters that Labour MPs in ‘safe’ seats have a ‘job for life’. In some Labour safe seats, some MPs have been alleged over the past few years to have had as little as a 0.3 per cent contact rate with the public. It loses us votes in elections and erodes long-term trust in our party. In parts of the country where Labour faces massive electoral challenges, we need people to believe that Labour MPs will stand up for their constituents in parliament, committed to the manifesto they stood on. If they don’t, we have a wealth of talented activists for local parties to choose from. Being an MP is a privilege, not a God-given right. Such a lack of accountability breeds an unhealthy political culture inside the party, whereby MPs are perceived as aloof from the concerns of the communities they represent and can afford to ignore the worries of their constituents, which can only be damaging for us electorally. This could not have been exemplified more clearly than in the disgraceful parliamentary coup against Jeremy Corbyn in summer 2016, where the MPs that we fought to get elected disregarded the decision of the membership. There is a small core of MPs who, far from committed to the politics consistently reaffirmed by the party’s membership, appear actively hostile. Many of these MPs stand in stark opposition to the membership of their local party and seem happy to hide away from them in Westminster. Young Labour has consistently stood against this divisive culture. Young Labour has been criticised for choosing this rule change over policy on mental health to submit to national party conference. I want to make it clear that there is a multitude of issues we as Young Labour wish to change in the party, and we cannot do it all at once. Some of these issues will finally be dealt with through the democracy review. 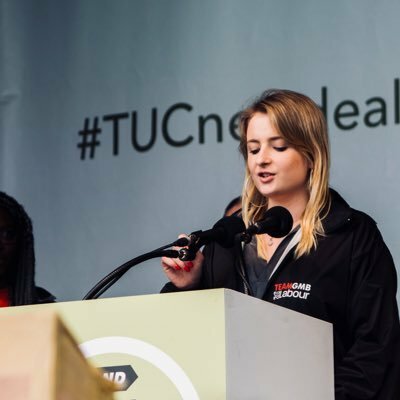 After many years, and with the support of our new general secretary, we are beginning to see traction on increases in our funding and staffing and having a constitution, which will allow us to campaign locally and nationally on matters that affect young people. We want to lead on policy relating to young people, including mental health provision and apprenticeships, and affect real change in our communities. The deficits of democracy that still remain in our party prohibit us from submitting both rule changes and policy simultaneously to conference, and improving our party structures will only allow for us to highlight youth issues more successfully. We won’t be patronised into believing young members can’t be at the forefront of making important rule changes; we can fight for these alongside our socialist policy on youth issues. Having voted for Jeremy Corbyn to be leader twice, I don’t believe it is a coincidence that we have the best manifesto regarding health, social care and mental health that I have seen. A Labour government will radically improve mental health services and prevention for young people and the committee believed that the policy motion on mental health that we considered didn’t sufficiently go beyond our manifesto. Fundamentally, if we are to expect Labour members to fight on the doorstep and wholeheartedly convince the unconvinced of our vision for a better world, they need faith in the prospective candidate they are fighting for. Inactive young members will become activists if they have a stake in choosing the candidates they campaign for. We want to support young and new candidates, and dismantle an undemocratic and unhealthy political culture that has grown inside of our proud party for too long. Young Labour is proposing this rule change to ensure that a better culture emerges in the Labour Party, one that makes our representatives far more accountable to the membership. We need to show to communities we seek to represent that we are sincere in electing the best people to Britain’s lawmaking bodies. For a vibrant, representative parliament that ordinary young people can have faith in – this is why we support mandatory reselection. Lara McNeill is youth rep on Labour’s national executive committee.